Ellenvale Coaches Ltd Testimonials - Feedback from our customers! 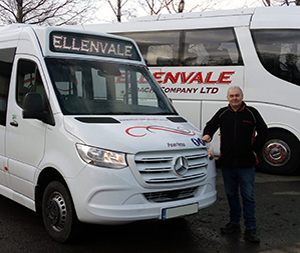 Ellenvale Coaches have been prividing Coach Hire, Minibus Hire, Private Taxi Hire & School Bus services for many years in the Cumbria and West Cumbria area. The areas that we cover are Aspatria, Wigton, Carlisle, Cockermouth, Workington and other surrounding areas. Our Coach Hire services cover the entire country and beyond however, so if your destination is outside Cumbria then please get in touch! We have a large selection of Coaches, Mini-Buses & other vehicles, and we have special needs vehicles at our disposal too, so if your party includes disabled parties who need specialised accessibility functionality then we will be happy to help you. Apart from School services, we can provide everything from National Coach Trips to transport for Weddings, always at a competitive price. Ellenvale Coaches pride ourselves on providing an efficient reliable service. It's not just your travel plans that are at stake, our good reputation is too. That's why we do our absolute best to keep our timing and service standard at the highest possible level. We have a wide range of vehicles at our disposal. Whether it's for a large group, a school party, a small group or a group with special needs, a short or long distance and from a few hours to longer periods of time, we can provide the transport that you require. We have been serving Cumbria and the surrounding areas with transport services for many years, and our local reputation has been moving from strength to strength. Get on board and support local businesses. Why compromise on quality? 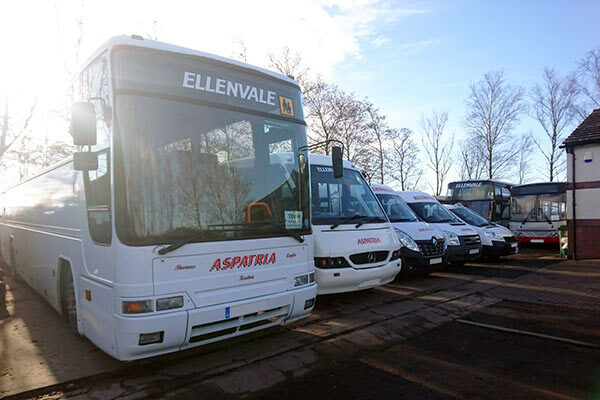 Copyright © 2014 Ellenvale Coaches Ltd. All Rights Reserved.